The development organization Hivos, headquartered in the Netherlands, is celebrating its 50th anniversary this year – and events marking the milestone in Costa Rica showcased how the organization puts people at the center of its work. Hivos’ mission statement, “People unlimited,” underlines the organization’s work in women’s rights, sustainability, diversity and more. Anchored in the belief that every person has the capability to move forward, Hivos works to promote the rights of every individual; working for equality in every field, the organization’s message is that no limits should be placed on people based on sexual orientation, skin color, social class, gender or any other characteristic. “Hivos is an organization that always tries to innovate for a social change,” said Myrtille Danse, Hivos Director for Latin America and the Caribbean, at an anniversary event last week. In honor of its 50-year anniversary, Hivos decided to give out presents instead of receiving them, inviting people to a series of events to encourage social change. On Aug. 24, Hivos invited people from various companies in Costa Rica to a discussion about human rights within business structures. Danse described the challenges that can face companies seeking to play an active part in promoting human rights. “It is not easy for big companies to position themselves within topics the society strongly believes in,” she said, adding that picking a side and stepping forward for specific causes makes them very vulnerable. However, she emphasized that every company plays a part in forming the values of society and therefore holds a certain responsibility regarding human rights. “We all can have a negative impact within the social system, and we all can have a positive impact,” says Danse, addressing a room full of business leaders. 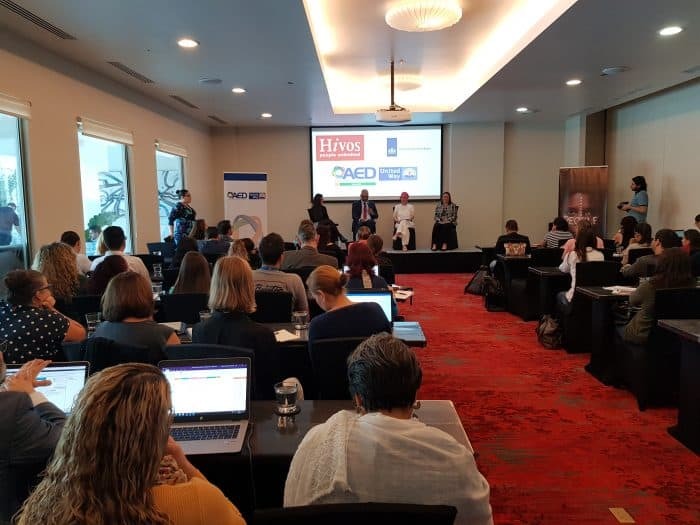 To present different strategies for working toward more active participation in human rights, Hivos invited its representatives from Ecuador, Bolivia, and Guatemala, as well as Ambassador of the Netherlands in Costa Rica Peter-Derrek Hof, to participate in the event. All of them shared best practices with those in attendance. Hivos wants to start small, initiating small-scale efforts within 10 companies in Latin American countries including Ecuador, Guatemala, Honduras, El Salvador, and Costa Rica, to raise awareness of human rights issues. Another important part of making a change is to remember the changes already made throughout history: to remind the people of the achievements and progresses in Central America, Hivos is launching an interactive exposition entitled Aquí se recuerda (Here We Remember) at the Centro de Cine in Costa Rica, Aug. 30- Sept. 17 (Monday through Friday, 8 am-4 pm). Learn more at the event’s Facebook page. 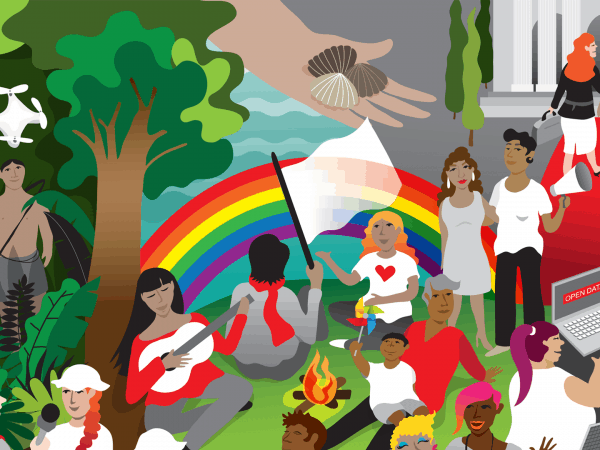 Civil Rights Debate for the New Millennium: Should Gay Couples Be Legally Recognized?